Hastings Badger Protection Society was brought together by a very determined group of ladies who were tired of badgers and foxes being treated so cruelly. On 14th October 1986, I was asked to join the new Society as Field Officer. From that time until now the membership has grown in numbers. We realised from the start that by speaking out for badger protection we were also saving all other species of wildlife that were living in that particular locality. 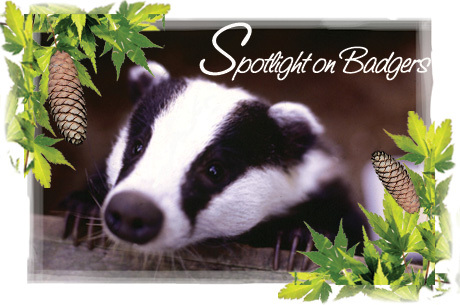 Since the 1992 Badger Act was passed, the problems the Society handles have changed to some extent, although badgers, their setts and very close environments are protected. All wildlife, including badgers, are at greater risk now than in 1973 when the Badger Act was first introduced. Locally, in Rother and Hastings, habitats and traditional sources of fresh water are being destroyed at an ever increasing rate, native food bearing trees are being cleared and foreign exotic trees are being planted in their place. The Society has continued from the beginning to help with advice, practical help and examples to help people understand and maintain the future welfare of badgers and other wildlife.